This special offer is for those who’ve risked their lives defending us. 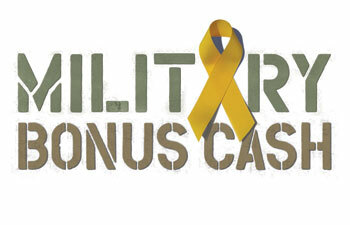 If you’re Active, Active Reserved, Retired Military or Retire Military Reserve you’re eligible for up to $500 in bonus cash under our Military Incentive program. The offer applies to 2017 model year vehicle purchases and leases on all new vehicles (excludes SRT models, Viper and FIAT® Abarth). + Eligible consumers include: active military, active military reserve, retired military (honorably discharged), and retired military reserve (honorably discharged). Honorably discharged veterans and 100% disabled veterans are eligible within 12 months of discharge date. The eligible retail purchase or lease customer must assign the cash allowance to the selling dealer. The retail purchaser’s order must show the cash allowance as having been applied to the vehicle’s purchase price, or in the case of a lease customer, as reducing the total lease obligation (12 month minimum lease term). When the qualifying documentation presented bears a former or changed name, the customer must substantiate the former/changed name with a copy of legal documentation, (i.e., marriage certificate, divorce decree, court order). The dealer must retain copy of the name change documentation to verify customer eligibility. For active personnel a copy of their Leave and Earnings Statement (pay stub) must be retained in the sales jacket, for recently discharged military personnel (within twelve months of purchase) a copy of their DD-214 must be retained, and for retired military a copy of their Retirement Account Statement or 1099R must be retained. For disabled vets, a copy of the individuals VA Summary of Benefits Letter stating a Service-Connected disability of 100% proves their military permanent disability. The total consumer incentive payment must be clearly shown as a separate line item reduction in the calculation of the purchase price on the signed FINAL buyer’s order/purchase contract or if a lease, on the FINAL lease contract on the “Rebates and Non-Cash Credits” line. This computation must be done at the time of sale or lease, and must be identified on the buyer’s order or purchase contract as a sales incentive/rebate. For More Information please call Oxmoor Chrysler Dodge Jeep Ram Sales at (502) 442-7157. 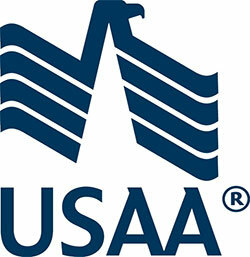 Are you, or someone in your family, a proud member of USAA? If so, you will be happy to know that in addition to offering a much deserved $500 military discount on new cars, Oxmoor Chrysler Dodge Jeep Ram is one of the only certified USAA / TrueCar dealerships in the state of Kentucky. Being in such close proximity to Fort Knox, many of our military customers are also USAA members. We offer USAA members the highest quality customer service to ensure that our nation’s military and their families are treated with the respect they deserve. If you, or a member of your family, are USAA members, make sure to visit our informative TrueCar page. If you already know the vehicle you wish to purchase, simply request a quick, stress-free quote from one of our TrueCar / USAA certified sales representatives and we’ll contact you shortly.